I recently purchased and configured a Dell R320 with 3 x 2.0Tb Western Digital SATA Hard drives and although I knew the Cachecade drive I had configured was working I did a quick performance comparison using HD Tune to confirm it and see the difference. I don’t really think synthetic tests like this provide much value and it is easy to feel the difference in responsiveness when using the server in anger. The interesting thing which I did not realize until I started playing with this Dell Poweredge R320 is cachecade is now supported on the Dell H710 512Mb PERC controller and not just the 1Gb version. On the previous models (H700) the Cachecade options were only available on the 1Gb version which was a shame because it was one of the more expensive options when configuring a Dell PowerEdge. 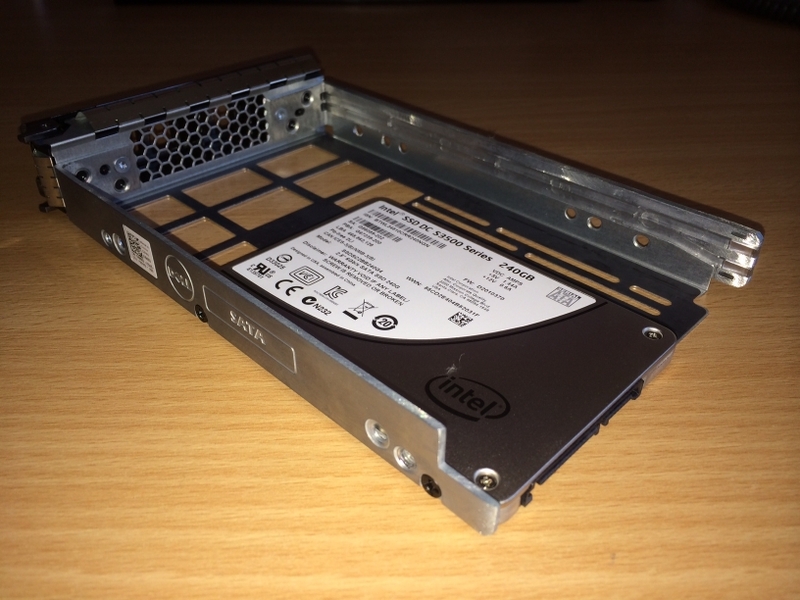 In case you were wondering, the PERC H700 and H710 recognize and work perfectly well with the Intel DC S3500 Series Solid State Drives and they can be used either as cachecade volumes or regular volumes. I didn’t purchase any of the drives or SSD from Dell when purchasing the server as they were too expensive and didn’t provide the options I wanted. I know lots of websites provide extremely detailed performance analysis and I am not going to do that, I do not have the knowledge or the time to perform such exhaustive tests! As you can see in the screenshot with Cachecade enabled that the performance is much more consistent with far fewer extreme spikes. 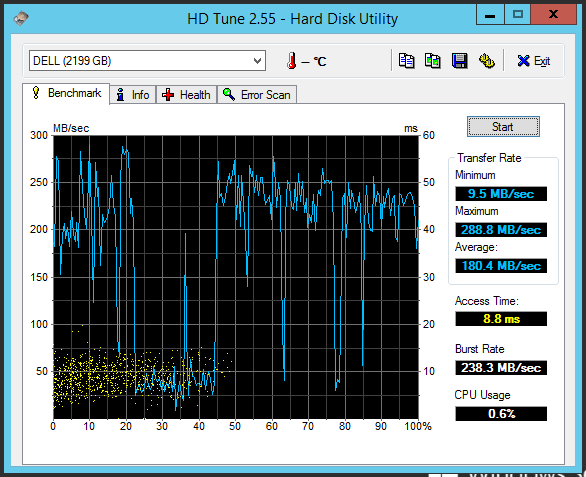 Minimum speed is maintained at over 200MB/second which I think is pretty quick for a modest server. Although the Burst rate is lower which I don’t really understand. I had stopped using RAID 5 in recent years due to the relativly poor performance, but I think that with the help of Dell Cachecade it could become more viable. On the next server I will test RAID 10 without Cachecade vs RAID 5 with Cachecade on a simple 4 disk setup and see how they compare. 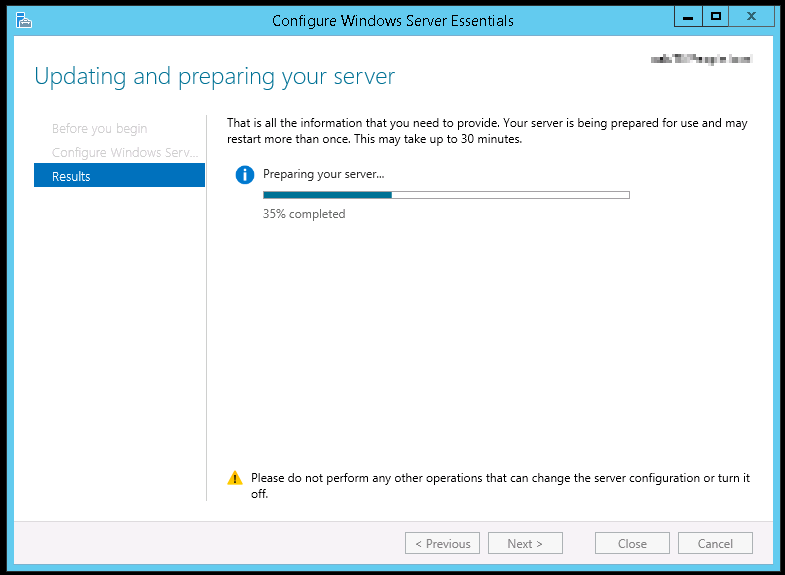 Tests were run on a cleanly installed Windows 2012 Standard Server. 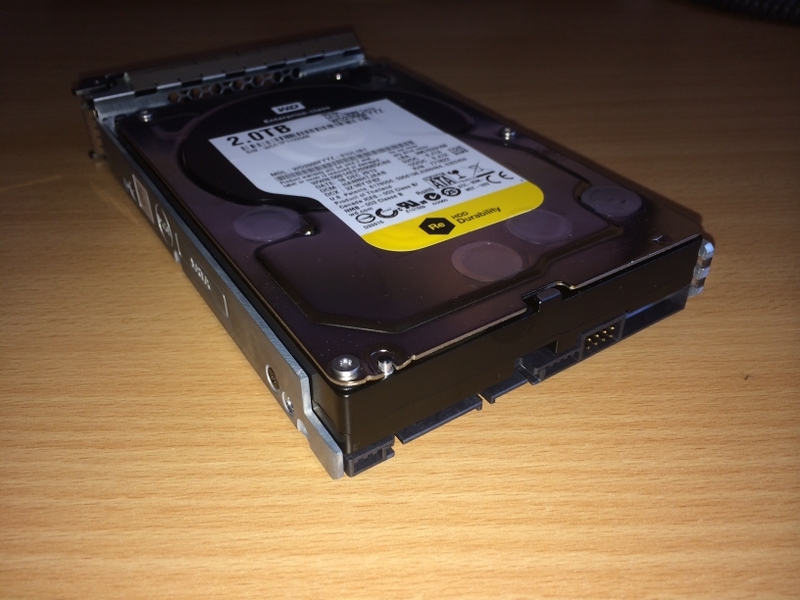 I was playing around with a new Dell Poweredge R320 and I decided to see if it would be possible to attach at 2.5″ SSD drive using a 3.5″ drive carrier without having to purchase the 3.5″ to 2.5″ converter kit from Dell. It is actually very easy and I can only assume the adapter kit provides some extra fastening points to make the SSD more secure. Given that an SSD has no vibration whatsoever I think the two screws used to hole the drive in should be fine, has been so far. The SSD required smaller screws than the hard drive, but luckily I had some of those lying around anyway. Even though the SSD is only attached to the drive tray with the two screws visible in the photo, it was still secure and by the time it is pushed into the server SATA connector, it is not going to be going anywhere. This SSD was connected to a R320 with a PERC H710 512Mb raid controller and worked beautifully. SBS 2011 in it’s default configuration will experience very high memory usage caused by the three SQL databases that are running and in my experience will eventually cause poor performance where physical memory is being consumed by these databases. 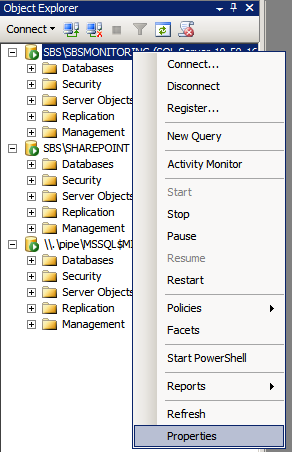 In particular I have noticed extremely High memory usage in SBS 2011 by the DataCollectorSvc.exe process, it was using around 12 GB! All three of them have the potential to consume a great deal of memory and by default the memory limit on these instances is set to 2147483647 MB – which is 2048 Terabytes. 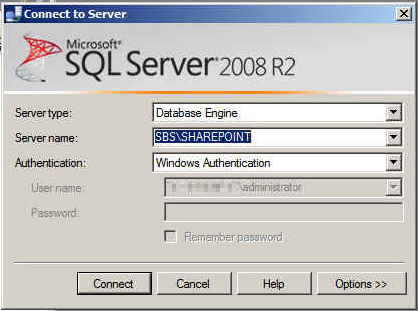 Given that SBS 2011 supports a maximum of 32Gb of memory, restricting the memory usage on the databases can give you some of your memory back and improve the performance of the machine. 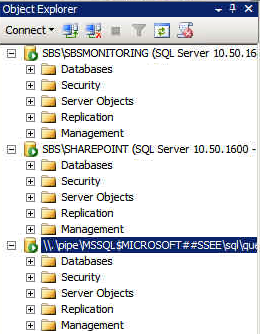 Because all three databases are separate instances you need to connect and modify each one separately. 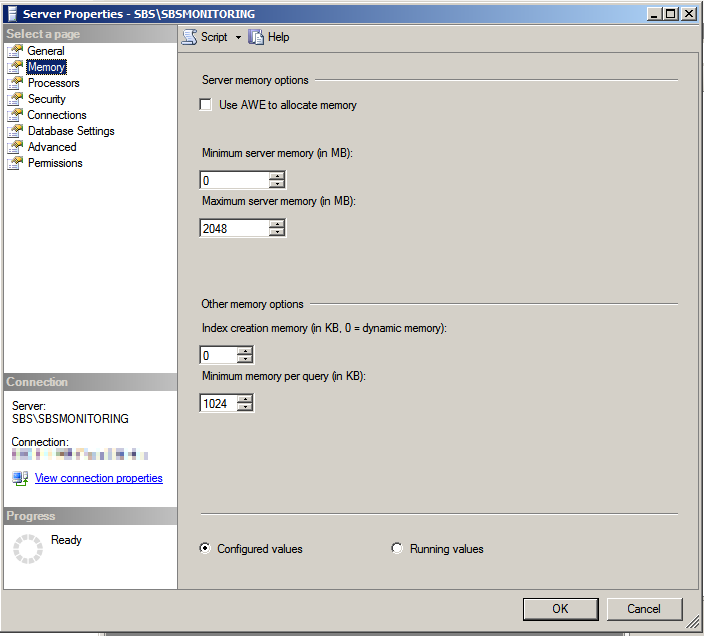 Click on the “Memory” option on the left hand side and adjust the memory figure as appropriate for your system. The system in this example has 32Gb of physical ram so I have chosen to give each database 2Gb. If you have less memory you will need to adjust according to your own system. Hopefully after doing this SBS 2011 should run a bit smoother, on this system the SQL Databases were using over 16Gb of Ram and it was running very slowly. If you have hard deleted (Shift-delete) a message or mail-item from a shared mailbox you may notice that the option to recover deleted items is greyed out and you cannot select it. 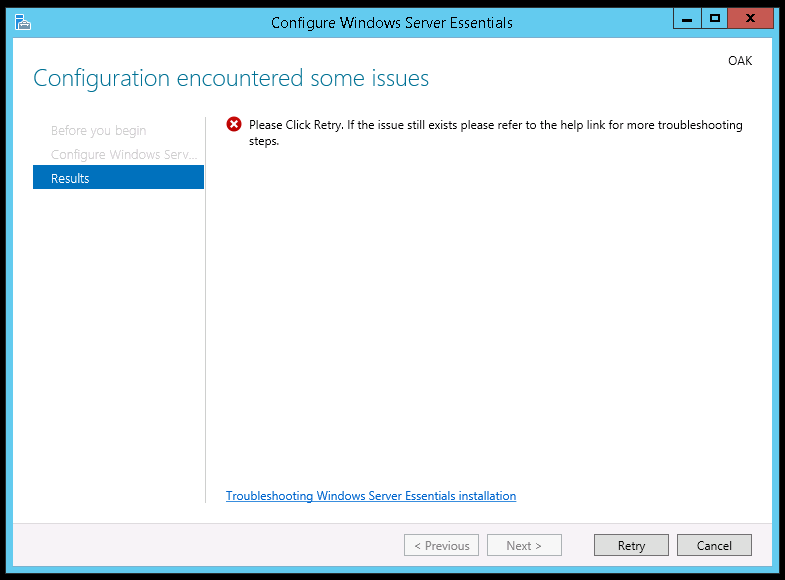 Hard deleted items can be restored from your deleted items folder quite easily but this option is not available in certain circumstances or for certain folders, including folders in shared mailboxes. The default deleted item retention in Office 365 is 30 days. As stated above, if you find that the “Recover Deleted Items” option is grayed out then you need to set the DumpsterAlwaysOn Registry value. Create a new DWORD value with the name of DumpsterAlwaysOn and set the value to 1. On my own system (Windows 7 64-bit with Outlook 2013) the “Options” key was not present and I had to create it first before adding the DumpsterAlwaysOn DWORD. 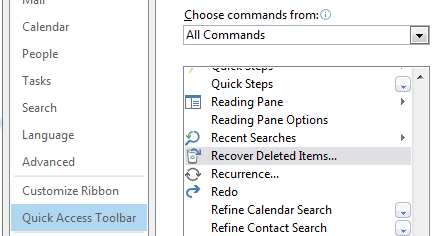 Even though the Recover Deleted Items feature works for all non-mail folders in Outlook 2010, the feature is not available by default on the Folder tab for these type of folders. So if you have deleted a task or a calendar appointment and need to recover it, here is how to do it. Click on the “Add > >” button. 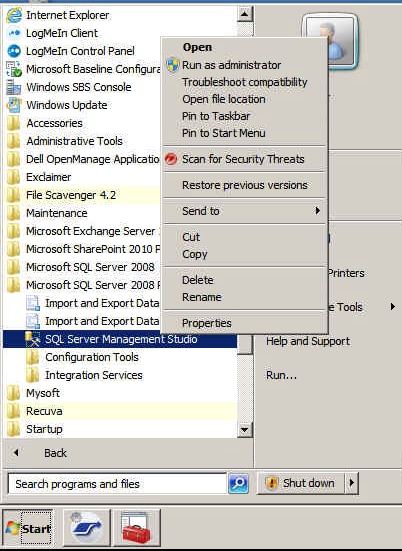 You should then have a new option on your quick access ribbon that will enable you to recover deleted items from any folder that contains items that can be recovered.